The total height of McNeilly West Falls is 6 metres (20 feet), a measurement which includes both the upper and lower sections. 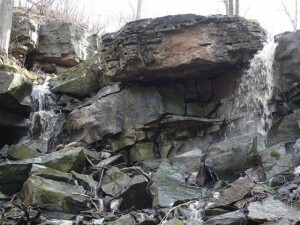 Its crest width on the upper section is 3 metres (10 feet) but widens out to 8.5 metres (28 feet) on the lower section. 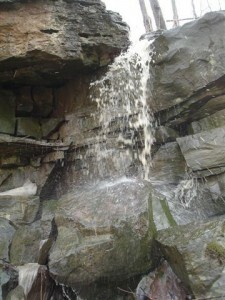 The upper section looks like a Classic Falls which is the most photogenic section even though its height is only 1.8 metres (6 feet). 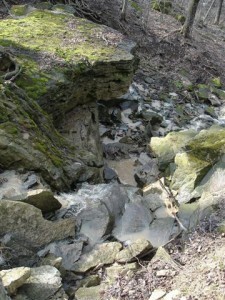 It experiences a strong flow during seasonal storms and after the winter snow melt. 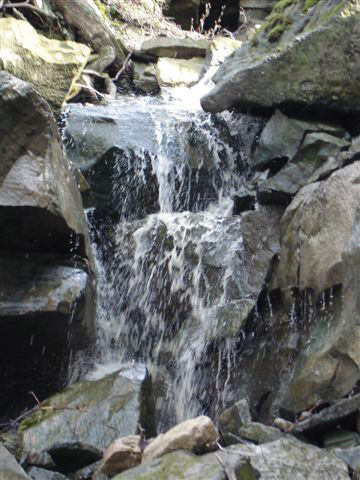 The water flowing over McNeilly West Falls originates from farmers’ fields on top of the escarpment above this falls. 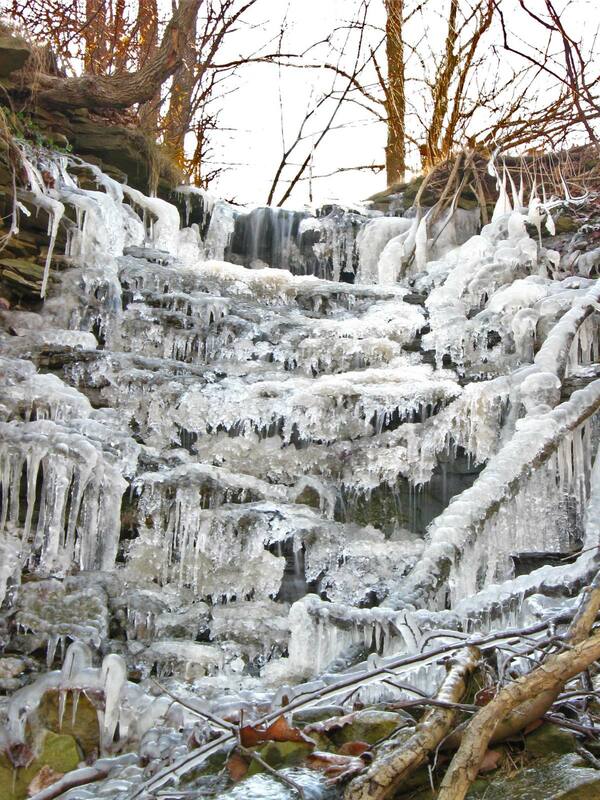 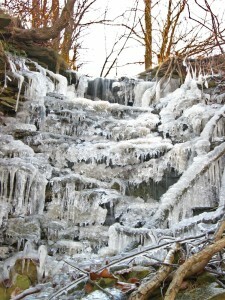 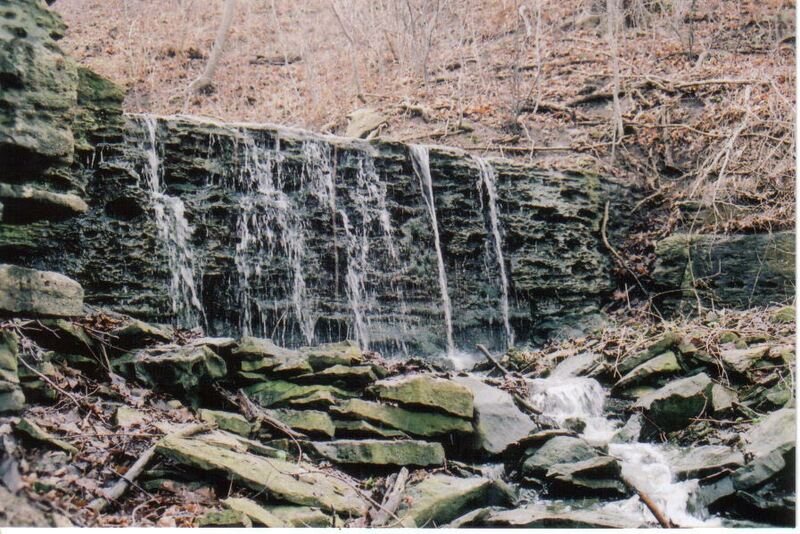 This waterfall was “discovered” by Joe Hollick in 2006. 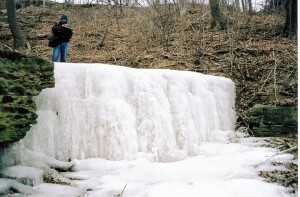 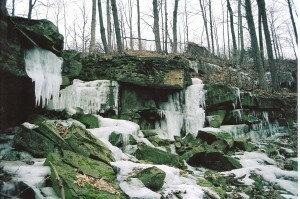 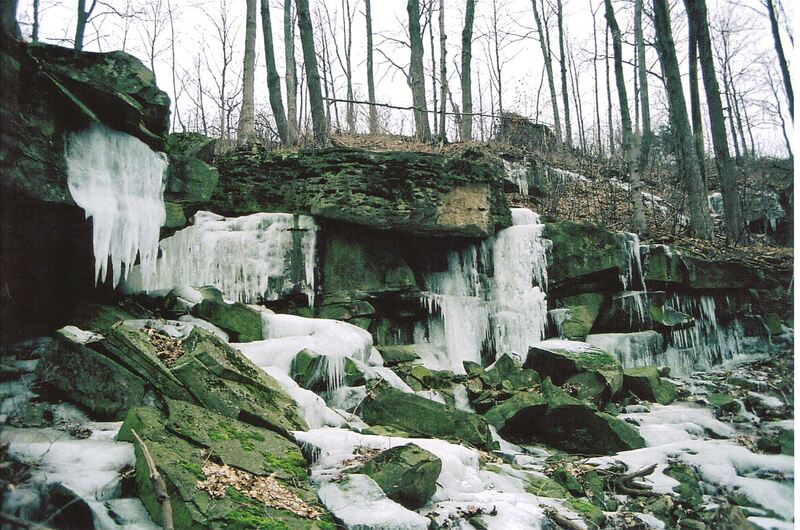 McNeilly West Falls is located on the south side of the Bruce Trail about 1/4 km west of McNeilly Road in Hamilton’s far east end.